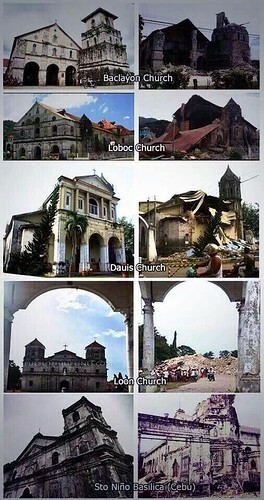 The recent Bohol and Cebu earthquake not only devastated these two provinces but also the whole country. It not only brought damage to Cebu and Bohol but also stunned the travel loving Filipinos who visited those places before. 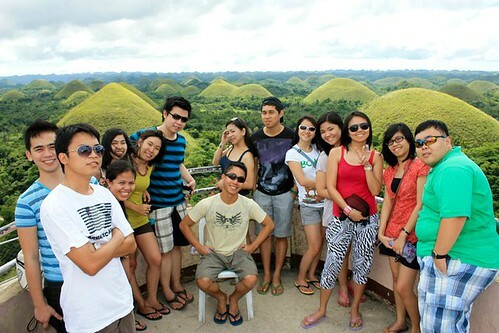 Cebu and Bohol are some of the top crowd drawer in the Visayas. The two provinces is just about 2 hours away from each other so when a tourist visits one province it is almost necessary to visit the other. As a traveler, one can’t help but feel affected by this tragedy. You’ll feel a special connection with these places. You’ll remember the beautiful places you have visited, the smiling faces that greeted you and the warm hospitality that made you feel at home. Every traveler has a story to tell of their adventures in these beautiful provinces and it is really painful to see all the destruction the earthquake caused not only to the wonderful tourists spots but also the suffering it caused to the people. 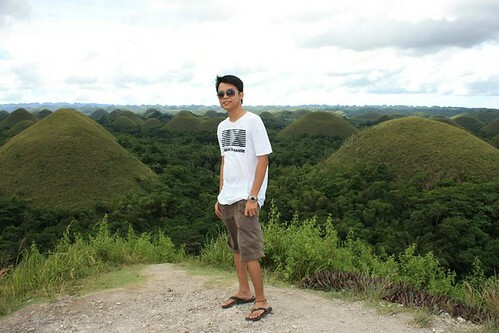 I’ve been to both provinces last November 2010 and I promised myself that I would go back to visit the other sites that I wasn’t able to explore last time because of the lack of time. I’m actually going back to Cebu with my family this December and it would be heartbreaking to see the damage caused by the earthquake. Cebu is especially close to my heart since I spent a portion of my childhood (babyhood) there since our family used to live there. 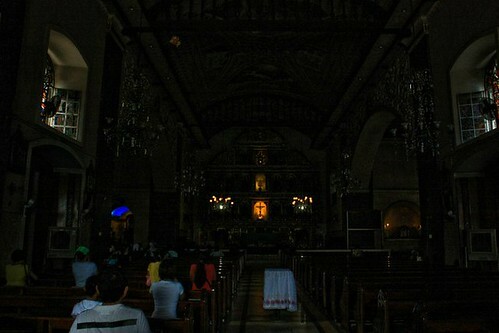 The hardest hit by the quake was the province of Bohol which was also the epicenter of the magintude 7.2 earthquake. I’ve been wanting to visit all the other beautiful churches of Bohol since I was only able to visit the Baclayon Church before. 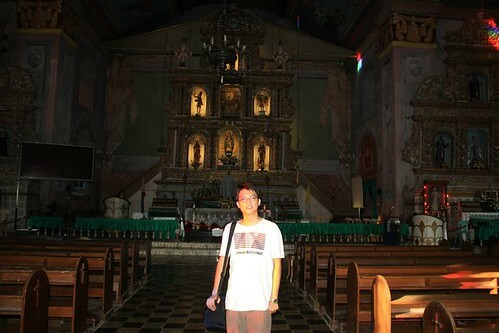 Sadly, most of the centuries old churches are now badly damaged, if not totally ruined. 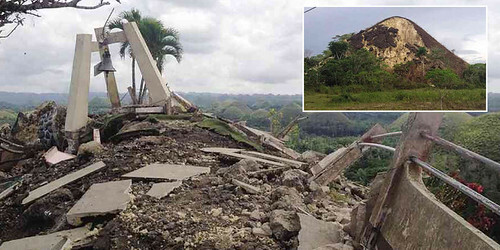 Some of the wonderful Chocolate Hills were also damaged. Even the viewing deck, which provides a beautiful view of the Choclate Hills, has totally collapsed. 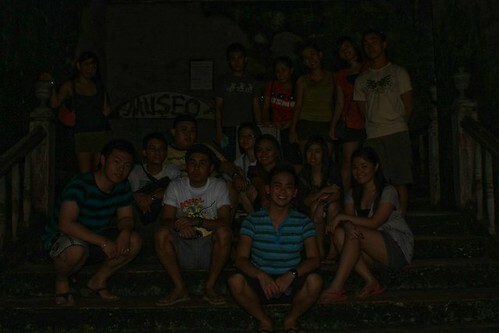 Inside the Sto. Nino Basilica. I regret being too tired to take a good photo 🙁 I hope to be able to enter this again this December. 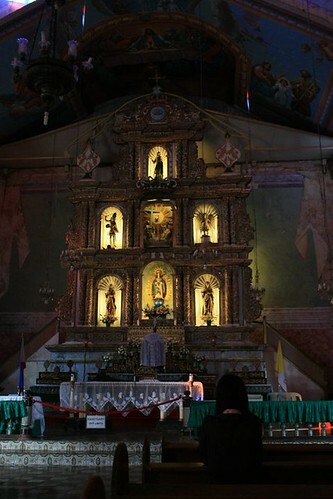 Inside Baclayon Church Museum. No flash photography allowed. This is just sad. 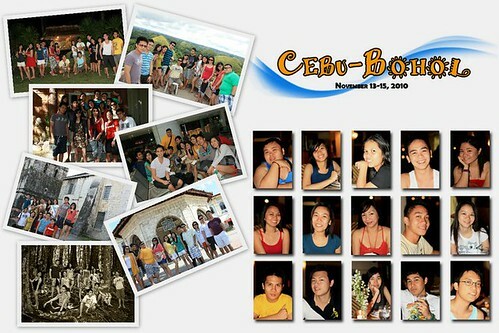 I hope that the Boholanos and Cebuanos would be able to bounce back from this tragedy soon. I hope this experience with the Bohol and Cebu earthquake would bring necessary improvement to the Philippines disaster management.